Angela Reisetter, PhD, in physics has a passion for the environment and identifying alternative sources of energy. 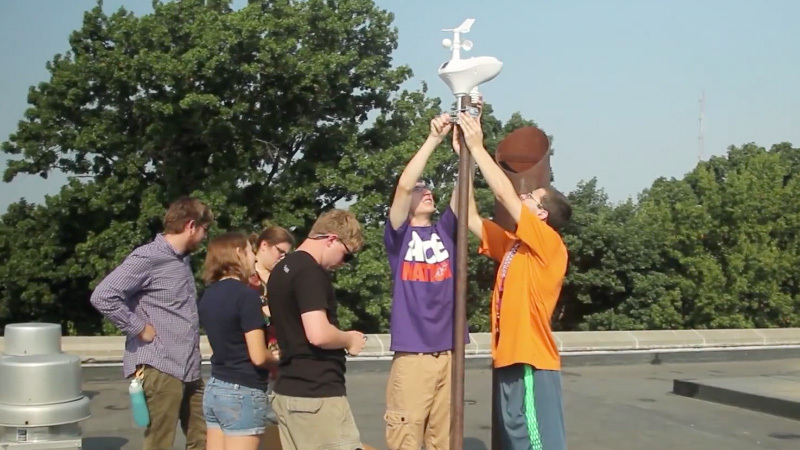 In 2015, she put together UE’s first Alternative Energy ChangeLab class, and since then, they’ve had an incredible array of successes, including launching an awareness campaign that reduced UE’s energy consumption by over 10 percent in one week, helping to launch Evansville’s city-wide bike share program, and designing an ongoing consulting business that provides energy audits to individual homeowners and businesses. The team developed a proposal for Carver Community Center that resulted in a $90,000 grant for solar panels and lighting. Description: Proposed originally by high school students in the Changemaker Challenge, this team is developing a board game to provide kids a way to discuss bullying in a non-threatening environment. The game will be licensed to a game developer and will be used by schools, after school programs, and more. 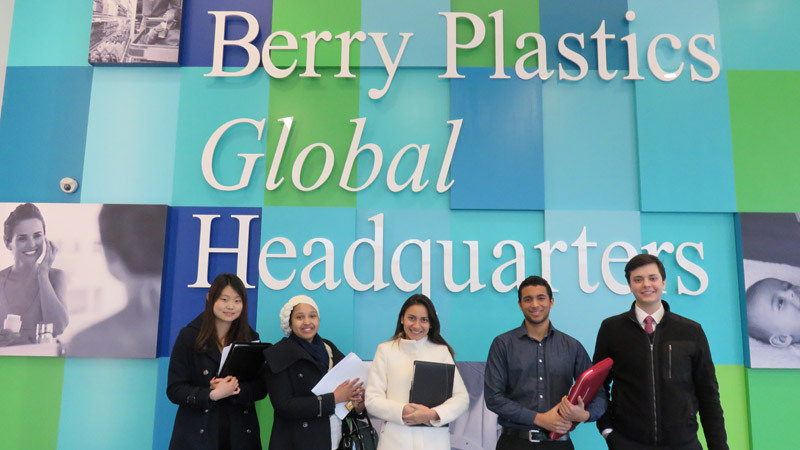 Multiple teams of students have assisted this Fortune 500 company in its international expansion through research on macroeconomic factors, potential acquisition targets, and consumer behavior in other countries. One team member even presented at a Congressional briefing in Washington, D.C. about his experience on the project. Learn about how this ChangeLab project led to a job offer. Embrace was officially founded in October 2018 as one of the only student-run marketing and communications agencies in the country and has already begun working with several clients throughout the Tri-State area. Students from a variety of backgrounds and majors were hand selected to be a part of Embrace’s founding team. This opportunity allows these students to utilize their innovative ideas and passion for the industry while also learning the ins and outs of true entrepreneurship. Joe Ellsworth, who has extensive experience in the marketing and communication field, serves as an advisor for this group of talented and driven students. 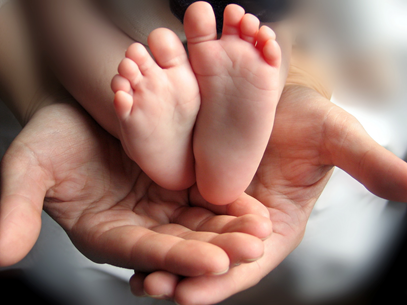 This team has partnered with the Vanderburgh County Health Department to create a campaign that will help lower the unusually high infant mortality rate in this community. Students on this team developed a safe sleep campaign that will work with the community to educate new mothers and other caregivers on how to keep their babies safe, and their work has attracted the attention of statewide and regional officials. The students have worked with 10 surrounding counties to collect data and make recommendation that will help the health department in developing their communication strategies. Multiple teams of students have worked with the non-profit organization Mission Guatemala to improve nutrition, health, and education for people in rural Guatemala. Projects have included developing a sustainable art therapy program for recovering addicts in a rehab center, optimizing inventory and supply chain procedures to help keep the right medications on the pharmacy shelves at the right time, and researching the possibility of creating a microfinance program for women. 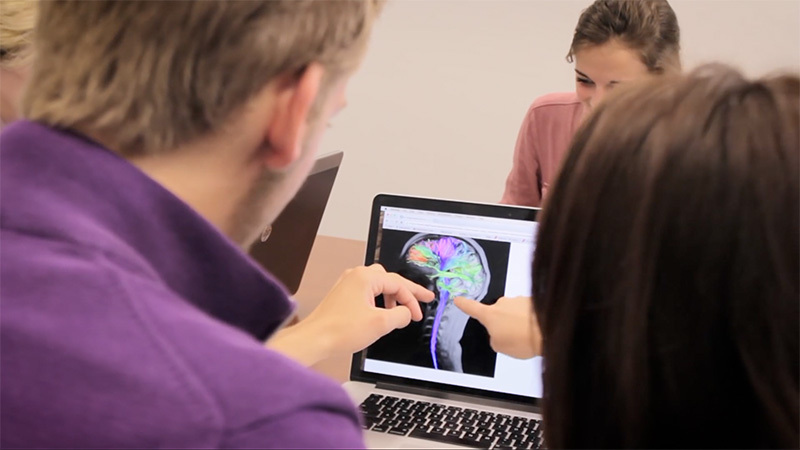 Lora Becker, PhD, and her students utilize state-of-the-art neuroscience equipment to test logos, ad campaigns, website design, and more for clients. This research provides insights into the emotional responses people have to various marketing stimuli, and it helps to guide clients in developing the most effective strategies and tactics to promote their products or services. The work of a recent team led to an additional $1 million in annual sales revenue for the client. See this article for more details on the ChangeLab (formerly GAP) Neuromarketing projects. This team works together with Evansville city officials and engineers on redesigning downtown streets, urban corridors, neighborhoods, and trails. The students are benchmarking other cities as well as gathering input from residents, businesses, and other key stakeholders to offer recommendations that will that will impact the way the city looks in the future. These students will leave a literal mark on Evansville and be able to visit their work for generations to come.